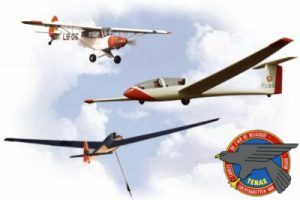 The organization offers its members a complete and integrated flight training program to become a glider pilot. Obviously theoretical knowledge is essential. The priniciples of aerodynamics, meteorology, instruments, rules of the air, airframe structure and aircraft handling should be very clear before you even touch a flight stick. The theoretical course is given during the ‘Easter Camp’ at Koksijde AFB. In a two-week time frame pilots, meteorologists and instructors will teach you the basic concepts of flight. At the end of the period you are tested by means of a multiple-choice exam which (if you pass) allows you to commence practical flight training. If the theory of flight is fully understood, you’re ready to step into the cockpit. The first time you will do this is at summer camp during August and/or July. During three weeks you and your team will be prepared for your first solo-flight. This is a unique experience in every (glider) pilot’s life. An important step, because it marks the point from which you can call yourself a flight cadet. This is confirmed at the official wing ceremony in September or October when you receive your wings from the Belgian minister of defense.